It’s been another busy week for me here at HA Hosting. My week started with a trip to Birmingham for the first masterclass sessions with Watertight Marketing. 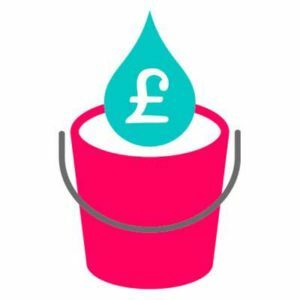 For those who don’t know Watertight Marketing is both a book and company set up by the multi-award-winning Bryony Thomas. She’s renowned for her expertise in all things marketing. Bryony is personally running the sessions and giving me, advice on marketing techniques that she has perfected whilst developing Watertight Marketing. It’s safe to say that I couldn’t have anyone better coaching me. Overall it was an enjoyable 2 days and I had a great time. I received a wealth of information from Bryony, including but not limited to how to steal your neighbour’s cat. Out of context I now realise this sounds more than a bit odd! Plus, everything was explained over in such an interesting way that you can’t help but engage and enjoy it. No wonder she’s such a sought-after public speaker! So, what does this mean for HA Hosting and more importantly, you? I’ll be expanding my knowledge and putting the theories and techniques taught by Bryony into practice for HA Hosting. Essentially you should be seeing more from us in the upcoming year, everything from helpful guides to general updates over social media. We want to be hearing from you as much as we can, so that we can help you in any way we can! You’ll be hearing from me soon no doubt. 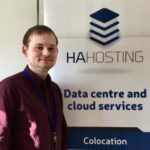 In the mean-time you’ll be able to see some more techy blog posts and hear about general updates from HA Hosting. *No apologies will be made for bad puns.